BERLIN -- Daimler is firming up plans for its biggest corporate overhaul in a decade, granting its car and truck operations more independence in a move that could pave the way for spinoffs and other deals as the automaker confronts the disruptive shift to self-driving electric vehicles. Under the plan, announced on Monday, the German automotive giant would break up its conglomerate structure by transforming itself into a holding company with three separate units: Mercedes-Benz Cars & Vans, Daimler Trucks & Buses and the financial-services division, which is already legally independent, the Stuttgart-based company said Monday in a statement. While the move is aimed at giving “greater entrepreneurial responsibility” to the businesses, it will initially create additional costs such as duplicate administrative structures. 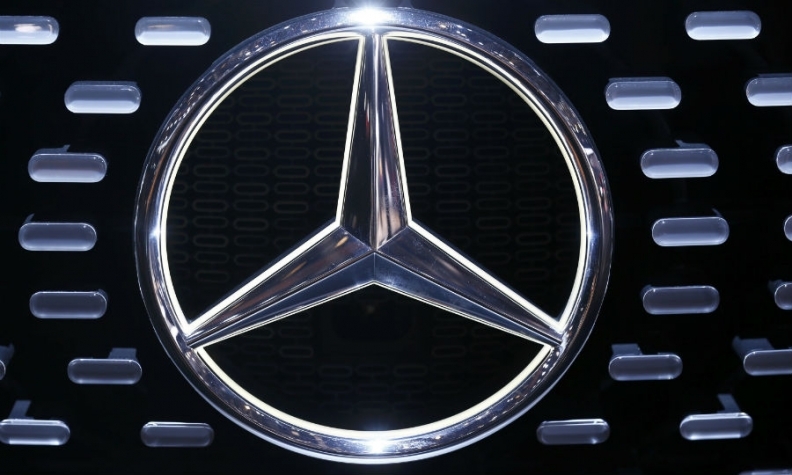 Daimler is budgeting more than 100 million euros ($118 million) for "the first steps." The company said it doesn’t plan to divest any divisions in order to maintain synergies, such as the trucks and cars operations sharing costs to develop self-driving features. The overhaul, which was first proposed in July, would be Daimler’s biggest corporate revamp since it ended ambitions of becoming a global car giant with the sale of Chrysler in 2007. While the move would initially add costs, it could enable spinoffs or deeper partner tie-ups down the line once it’s implemented after 2019, the same year Dieter Zetsche is due to step down as chief executive officer. "The plan for spinoffs looks to be in place,2 said Christian Ludwig, an analyst at Bankhaus Lampe. "It’s a little unpleasant for shareholders to hear about the costs without much concrete explanation for now." Daimler ranks as the world’s largest maker of luxury cars and heavy-duty trucks, but the value of its operations isn’t entirely reflected in its share price, according to Evercore ISI, which estimates the group’s value at 107 billion euros if it lists the commercial vehicle unit, about 45 percent more than its current valuation. As part of the planned overhaul, Daimler extended a labor pact for its German sites that rules out forced layoffs until 2030, the group’s works council said in an emailed statement. The agreement, which covers about 130,000 workers out of Daimler’s total of over 290,000 employees, also includes profit-sharing bonuses at the potential future units until 2025. Daimler will also allocate 35 billion euros in investments on electric cars and other new technologies over the next seven years and is contributing 3 billion euros to its pension plans. Employees are powerful at German companies. They hold half the seats on supervisory boards, often extracting significant concessions in return for supporting strategy. The move requires approval by both management and supervisory boards. Shareholders could vote on the changes in 2019 at the earliest, according to the company. Daimler’s structural revamp could mark the swan song for CEO Zetsche, whose current contract expires at the end of 2019. Since taking the helm in 2006, he has guided Mercedes back to the top of the luxury-car segment and sold off assets such as Chrysler and Daimler’s stake in the maker of Airbus planes. While Daimler has streamlined its portfolio in recent years, it’s not as clean as luxury-car rival BMW. Volkswagen Group, meanwhile, has a far more complex structure, with a collection of 12 vehicle brands including heavy-truck nameplates MAN and Scania as well as divisions that make ship engines and power plants. VW has also entertained plans for a potential separate listing of its commercial vehicles unit. “Whoever aims for sustainable competitiveness and profitability must continuously evolve and adapt to rapidly changing surroundings -- technologically, culturally and also structurally,” Zetsche said in the statement.